I wasn't sure if I liked how it hung just straight down with nothing around the hips. and came up with one that will cover more of her sides and back. Now I want to make a larger version for adults. Michelle told me about "Breadtopia", a web site dedicated to all things bready. She had been making some of their sourdoughs and was lovin' how they were turning out. After checking it out for myself, I have been going sourdough crazy! 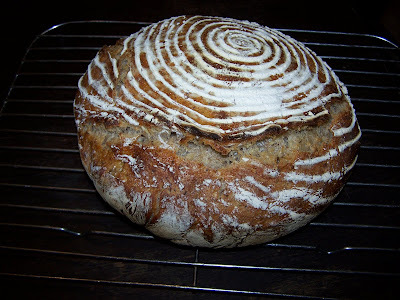 I got the swirly design by using a Brotform bread bowl for it's 2nd rise. It was such a cold, snowy day I thought a meatloaf would be a cozy, comfort kind of supper. With sides of baked potatoes, crusty sourdough, sauerkraut, and pickled beets, it hit the spot. What's going on at your place? Any Christmas goodies being crafted/baked? I'd love to hear from ya! The Meatloaf looks so yummy..We love a good Meatloaf in our family.. I actually woke up this morning to the Children wishing me a Merry Christmas and Stockings were hung and the Kitchen was decorated...My one son said.."Look Momma I made snow...out of some of your pillow stuffing... : ) "
What can you say.."That's Great.."
I've been so MIA on my own blog...but I keep reading and loving everyone else! 'Tis the season for meatloaf! We just had one the other day (hadn't made one in a long, long time) and it may be the best meatloaf I ever made. Basically combined my family recipe with Pioneer Woman's meatloaf and used our grass fed beef. One word, YUM. I also made some sauerkraut following the Simply in Season method and when I opened the first jar my husband declared it the best sauerkraut he's ever had. The best part? My two year old packed the jars and loved helping mommy in the kitchen! We baked it with a pastured pig roast and it was seriously good. Recently Mike commented that he had no idea that eating more healthy and humanely would taste so good. He's totally sold on our new way of buying meat and all the farmer's market and homegrown veggies! We've only done the outside decorations, but I am anxious to get some Christmas cheer inside as well. So cute! Good job, mom! I haven't even started thinking of Christmas decorating yet! I'd better get crackin'! 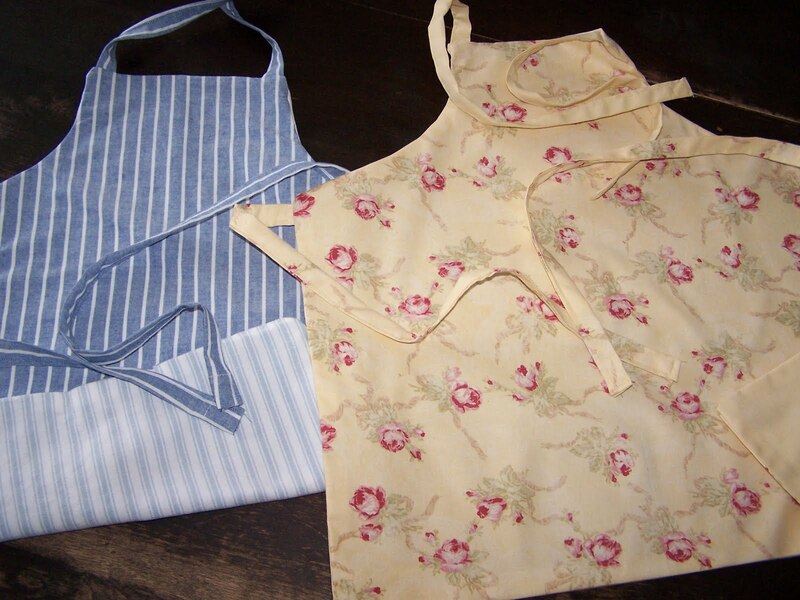 Your little aprons are precious ~ sure to be loved by their new owners! I will head over to the Breadtopia. Thanks for the link! p.s. 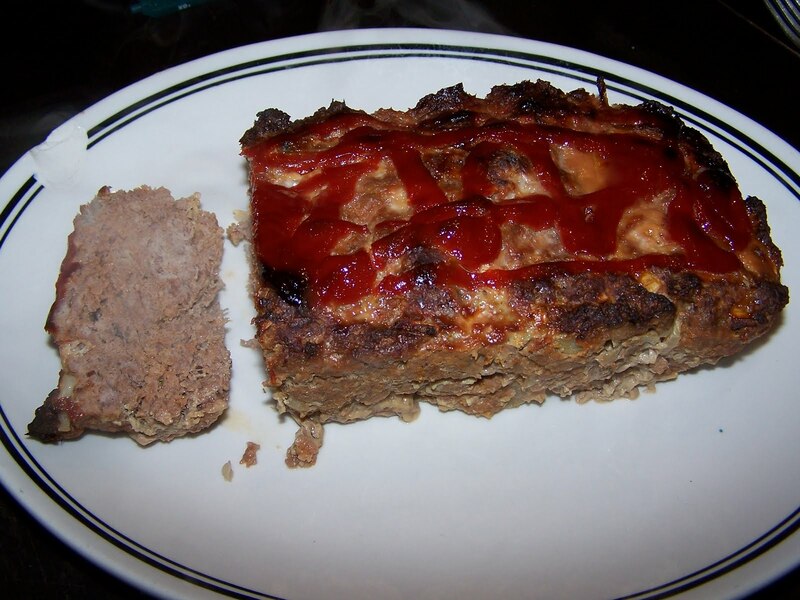 the meat loaf and bread look so delicious! You are so creative! I want to spend the holidays at your house making stuff! Oh, I LOVE meatloaf! I have a favorite recipe for a glazed meatloaf. It's basically a sweet and sour glaze that just tastes so yummy! I have not made it in over a year. Meat is so expensive any more (raspberry on meat prices). Oo the bread looks soooo good! We had meatloaf the other day too! I totally love aprons. I need to put up some hooks in the kitchen and hang the two I have. One had hand prints from the grand kids on it. And the bread looks wonderful!!! What a yummy meal. Now I am hungry! Those aprons look so cute. I have two aprons (not homemade like yours) and I don't wear them. I need to b/c I have oil spots, etc all over my clothes that I can't get out. I don't know why I don't make the effort to slip one on. That bread looks so good and I love that you don't have to knead. I bet your bread would make good Christmas gifts! Cindy, your bread came out GREAT!!! I'm so bummed that I can't have gluten right now. I've gotta keep my starter going so I can use it once I'm allowed again. I'd love the pattern and or suggestions for alterations...I always have trouble with making them fit properly as I am short and round of waist! Great job on the aprons! And I love the look of your sourdough bread! Loved the sound of your supper too! The combination of potatoes (in any form) and sauerkraut in the same meal ALWAYS appeals to me. We made our own sauerkraut summer before last. Loved it! Hi Cindy, I like your aprons very much. They turned out just great! Hi! I just discovered I can make gf buttermilk biscuits that are super delicious (taste just like they should), so that will be comfort food for tonight - along with maybe a good chicken soup. Does meatloaf have a lot of bread in it? I've never made it but want to- i think it would need a gf bread substitute though. Victoria...You could use oatmeal...is that GF? I usually use seasoned bread crumbs, but you could replace that with some of your GF bread or biscuits! Sweet Farm Girl...the food just keeps on coming doesn't it? We are so lucky...aren't we? Meatloaf is a favorite of mine. I think I will post a bit of what we ate today...amazing! And Christmas isn't even here...sigh..
Oh the aprons sure are cute - & I like my aprons to go a bit around the sides as well - keeps everyone a whole lot cleaner! Your sourdough looks amazing! I make sourdough each day (actually I set my bread maker to have it ready each morning), but it's certainly doesn't look as pretty as yours does! We have decorated the house, but there is still a couple of things I'd like to do. Hope you have an enjoyable time preparing for celebrating our Saviour's birth. Your bread looks so good I can almost taste it. What an interesting list of blogs you have on your sidebar, I'm going to check some of those out too. You are so amazing! Your food always looks like something out of a magazine! Does that bread (k)need a dutch oven? I still gots to get me one of those!